In 1987, Sunway College (as Sunway University was originally known) in New Town, Petaling Jaya, was officially inaugurated by then Sultan of Selangor, the late Sultan Salahuddin Abdul Aziz Shah Alhaj. The institution was a pioneer of twinning programmes in the country. By 1992, to accommodate the growing student population, the institution moved to its own campus ground in Bandar Sunway, Petaling Jaya. The 22-acre expansive campus which is home to academic buildings, on-campus accommodation and various sporting facilities, was officiated by the 4th prime minister of Malaysia, Tun Dr. Mahathir Mohamad. In 2004, Sunway College was upgraded to Sunway University College by the Ministry of Higher Education, and YBhg Tan Sri Dato' Seri Dr Jeffrey Cheah was installed as the Foundation Chancellor in 2006 in the presence of HRH Sultan of Selangor, Sultan Sharafuddin Idris Shah Alhaj. The institution officially became Sunway University in January 2011 when it was conferred the prestigious full university status by the Ministry of Higher Education. Since 1997, the institution has been governed by the Sunway Education Trust Fund where operating surpluses are channelled back into the institution and disbursed as scholarships and research grants. This trust fund transformed into the Jeffrey Cheah Foundation in 2010. Mission and Vision Sunway University aspires to be a World Class University. The missions of Sunway University are to provide quality education of choice and valuable experience for individuals who will contribute to local and global needs; to be devoted to the advancement, transmission and application of knowledge; and to support Malaysia's aspiration in becoming a regional centre of educational excellence. The experienced, highly qualified and dedicated academics of Sunway University is led by an innovative International Vice-Chancellor, supported by a Deputy Vice-Chancellor of Academics and Deputy Vice-Chancellor of Research and Higher Degrees. The heads of programmes and academic staff comprise of professors, associate professors, post-doctorate level lecturers and instructors with years of academic and industry experience in their fields of expertise. The wholesome Sunway curriculum incorporates classroom learning and diverse interactive activities. Each programme has close links with academic and industry partners, and professional bodies allowing fruitful internship experiences, projects and research opportunities. The internship component is compulsory for all Sunway home-grown programmes ensuring invaluable real-world experience that makes our graduates industry-ready. The duration of home-grown Sunway undergraduate programmes is 3 years while CAE students spend an average of 12-24 months at Sunway before transferring to the university of their choice. Since 2006, Sunway University has been in partnership with Lancaster University, UK, to ensure that our home-grown degrees are validated and on par with the distinguished UK university. Graduates in the areas of business, psychology, communication and computing are awarded two scrolls, one from Sunway and one from Lancaster University. Lancaster is ranked in the UK Top 10 in the latest 2017 league tables from both the Guardian (No. 8) and the Complete University Guide (No. 9). In the Times and Sunday Times Good University Guide, Lancaster has been ranked top in the North West, rising to 11th overall in the UK. In the Times Higher Education World University Rankings Lancaster appears 59th in their table of Europe’s top 200 Universities. Lancaster University is a member of the prestigious N8 Group consisting of eight of the most research-intensive universities in northern England. This reputation assures the proliferation of a culture of quality research at Sunway, and provides various collaborative opportunities between both institutions. The School of Computer Technology, for example, is an innovation hub made up of four different research groups. An outstanding academic partnership was formed in 2010 with Le Cordon Bleu (LCB), the famed international network of culinary arts and hospitality institutes, and the guardian of French culinary technique. LCB is validating all the programmes at SHTLM where graduates will receive two certificates; one from Sunway University and another from La Foundation Le Cordon Bleu. Strong links with industrial partners and professional bodies also give Sunway graduates the extra edge. Sunway University is the first Malaysian university to earn the full rights from SAS Institute Inc., USA, to run a specialisation in the area of Business Intelligence and Data Mining in the BSc (Hons) Information System programme. And, Sunway School of Business degree programmes are recognised by renowned bodies such as the Association of Chartered Certified Accountants (ACCA), the Institute of Chartered Accountants in England and Wales (ICAEW), the Chartered Institute of Management Accountants (CIMA), CPA Australia and the Malaysian Institute of Chartered Secretaries and Administrators (MAICSA). 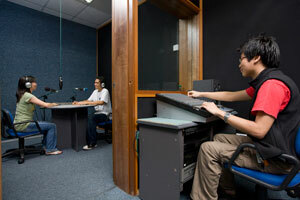 Sunway University is well equipped with first-class academic facilities. There are more than 120 classrooms and 15 lecture theatres which are fully air-conditioned and equipped with state-of-the-art teaching devices. The Main campus is fitted with 24-hour wireless internet (WiFi) access, making it easy to go online almost anywhere on campus. During school hours, computer labs allow students to work on their assignments and provide services such as printing, scanning and photocopying. Specialised academic facilities are used for designated courses. 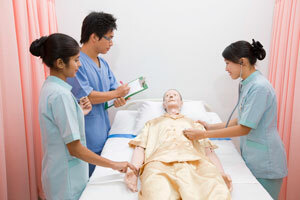 Psychology, computing, nursing and ADTP programmes utilise their own respective laboratories which include simulated wards and skills laboratory for training (nursing), observation rooms (psychology), computing research labs (computing) and science labs for practical work (ADTP). SHTLM students have an entire floor dedicated to their programmes which include the training restaurant and delicatessen, mock-up hotel suite and travel bureau, and the newly renovated kitchens. Art and Design students work in specialised studios and are given designated areas on campus to exhibit their pieces. The Roof Top Theatre is used by students of the Performance & Media programme and it is a vast studio complete with cutting edge audio-visual production equipment. The ISO 9001:2008 certified Sunway Campus Library is one of the largest libraries for private educational institutions in Malaysia. Equipped with technology for the 21st century, our library is linked worldwide, providing easy access to international databases and thousands of e-journals. Its spacious 3,000 sq. m. floor space encompasses study areas, book stacks and function areas such as Training and Audio Visual Rooms and the Multimedia Zone. Our library is ever growing with a huge variety of books, e-journals, online e-databases, audio visual and other collections to support teaching, learning and research efforts of the academic community at Sunway University. The Student Life Department (SL) of Sunway University is housed in the Student Centre and offers a wide range of professional and advisory services. It provides a supportive and friendly environment which includes the counselling unit, coordination of extra-curricular clubs and societies, alumni office and various conveniences like a sick bay and travel bureau. PRePARE, the campus career centre, and the LEAP employability training programme are among the most active student development activities on campus. PRePARE, with its motto 'eQUIP, eNHANCE and eMPOWER', regularly holds workshops on CV-writing and prepare students for the working world through its extensive network. The LEAP programme helps students upgrade themselves through different activities like career talks, company visits, Job Shadow Day and soft-skills workshops. The International Office (IO) looks after the welfare of foreign students, medical insurance claims assistance, and the application and renewal of student visas. Tan Sri Dato' Dr Jeffrey Cheah Entrance Scholarship, Tan Sri Dato' Dr Jeffrey Cheah Continuing Scholarship, Tan Sri Dato' Dr Jeffrey Cheah Scholastic Award, The Chancellors Scholarship of Sunway University & Lancaster University, Tun Dato' Seri Omar Ong Community Scholarship, Sunway-CIMB ECA Achievers Awards, Sunway Sports Scholarship, Sunway Music Scholarship, and Sunway-CIS ECA Scholarship. Also available are financial aid like the Sunway University Community Bursary and Sibling Discount. Most students also qualify for the PTPTN study loan and EPF withdrawal. • Being synonymous to high quality education, we achieved the Reader's Digest Trusted Brands Gold Award - Private University/College, a long- established award based on consumers' validation. • Rated Tier 5 (Excellent) in the Rating System for Institutions of Higher Learning (SETARA'09) by the Malaysian Qualifications Agency, placing Sunway University on par with the best public and private universities and foreign branch campuses in the country. • Export Excellence Award (Service) at the Industry Excellence Awards 2009 by the Ministry of International Trade and Industry (MITI). • Putra Brand Awards 2010 for Education & Learning (Gold Award) by the Association of Accelerated Advertising Agents Malaysia (4As), endorsed by Malaysia External Trade Development Corporation (MATRADE). • Human Resources Development Award 2010 for Large Employer in the Services Sector from the Ministry of Human Resources. • Multiple awards from the Malaysia Canada Business Council including the High Commissioner's Award, Gold Award for Good Corporate Citizen, and Gold Award for Industry Excellence in Education. This scholarship aims to recognise the outstanding involvement of students in the extra-curricular activities, and to promote the importance and value of our-of-classroom involvement and experience of students for personal and leadership development. Awarded to students with outstanding academic results who are interested to pursue their education in the following degree programmes. Awarded to students with outstanding sports achievement at the State and National levels. Dr. Elizabeth Lee is at the helm of Sunway University and Sunway College, both which rank among the largest private higher education institutions in Malaysia; and offer a range of internationally accredited pre-university, diploma, degree and postgraduate programmes. Since Dr. Lee joined Sunway in 1992, the institution has grown in leaps and bounds. She was instrumental in setting up the first university branch campus in Malaysia (Monash University Sunway campus) and Sunway's subsidiary colleges in Ipoh, Kuching and Johor Bahru. Under her leadership, the student population in Sunway has also grown many folds. Dr. Elizabeth Lee sits on numerous committees and task forces, contributing her experiences, views and insights on the development and promotion of Malaysia's private higher education globally. She is a founding member of the Academic Advisory Committee of Monash University Sunway campus and is on the Board of Advisors of the Institut Penyelidikan Pendidikan Tinggi Negara (IPPTN) (National Higher Education Research Institute). Her other appointments include the Minister of Higher Education's International Promotion Council, and the MBAM Education Fund Board of Management. Dr. Lee is actively involved in the Oxford & Cambridge Society of Malaysia, of which she is a Past President and current EXCO member. She is also the Regional Coordinator of the Cambridge Society, University of Cambridge. In addition, she is a much sought-after speaker and panelist at both national and international conferences on issues related to education and women. She is frequently invited by the Malaysian Ministry of Higher Education to participate in dialogue sessions on overseas study trips. We feel that Sunway College, and in particular the WMU programme, is wonderful because it offers a different kind of approach to academic. After SPM, this was refreshing. We prefer to be constantly challenged with practical projects and continuous assessments. Also, the teachers on our course are very inspiring and try very hard to make the subjects appealing to all of us. Professor Pippen, the Resident Director for WMU, is like everybody's best friend and confidant. Sunway College is a nice place to study and live (hostel) for the atmosphere here is not only academic friendly but also clean. There are plenty of books and computers available to us at all times and therefore studying is made a priority. All in all, we will never forget our time here. As JPS(Petronas) Scholars, we could have been sent to any private / public college in Malaysia. After speaking to the others of our batch (those who were sent to other colleges) we are very, very glad that we are here at Sunway College. First of all, the college campus is beautiful. Not only are the hostels clean, but they also provide halal food and prayer rooms for us, Muslim students. As there are so many different courses available here, the student's population consists of many nationalities and this is very appealing especially when one wants to go overseas eventually to further their studies. It prepares us for overseas education in the future. "The education system is good and it is recognised internationally." Life in Malaysia is good, especially being a foreigner. People make you feel at home. The people here are really helpful and friendly. The food here is really good. It reminds me of my mum’s cooking. I learn about the different cultures and beliefs. I love the tasty chicken of Malaysia and the Malaysian slang. Malaysia is a multicultural country. I like to learn about the different cultures and beliefs. Life in Sunway Collge is good. There are so many International students. 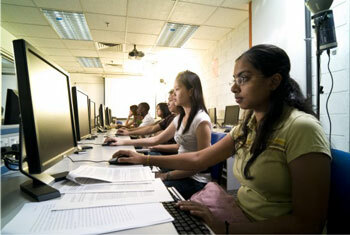 The college offers a wide range of international programs e.g. WMU, CMP . The college looks upon the welfare of international students by picking them up on their first arrival to the country, accommodating them and counselling the students. It also organises trips, clubs, activities and helps the students in getting along with each other. It also helps in giving information e.g. banking, shopping, etc. The education system is good and it is recognised internationally. Although many students say that CMP carries a lot of assignment , nothing is easy as "hard work is the key to success". I like the CMP system - course work (70%) and project (30%) which are added up in the finals and crediting system. The teachers are really friendly. They make work easier and interesting, thereby making the students more confident in their studies. The CMP program offers a variety of subjects and one is allowed to choose the subject he/she wants. 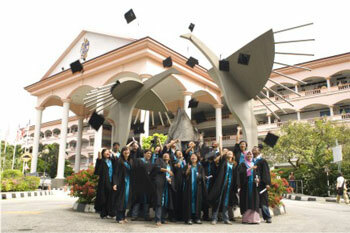 Sunway University College is known to be among the best private institutions in Malaysia. The standards of education can be compared to those in western countries. Teaching methods are exceptionally good and the infrastructure and facilities of the university are excellent. Studying in Sunway has been more than just an educational experience. I was inspired by the warm and hospitable environment of the university. I certainly hope that many students will take advantage of the education opportunities at Sunway University College. "The system of education in CMP is good." Things in Malaysia are just great - the people , food, culture and even the school . I can say that the people here are well educated. Outside of school, they learn from the well- mannered community. As Malaysia is a multiracial country, people can learn from each other more and learn to respect each other. But what I like most from Malaysia is the Indian food. I’ve tasted varieties of food and am going to try more. People here are also friendly. I live in Sunway College’s Hostel. It is exciting for me as I have never tasted a university life before. Although I’m only a pre-university student, it seems like I’m one of the (university students). Besides my school life, I take part in students’ activities where we learn how to work together. The clubs enable us to improve ourselves in things that we enjoy. The system of education in CMP is good. The teachers are helpful. They know how to approach the students’ mind and get their interest in such away that the students don’t feel uneasy. The courses are excellent. They are well designed –with theory and practice. We are given a lot of homework and assignments to help us to improve and do well. But then, I realised that the main point is to learn something for the future. After graduating from my high school, I was looking for a hospitality course in a few colleges and found out that Sunway University College provides the best facilities to students. 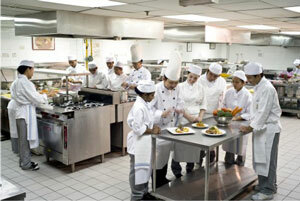 The university college has a fine-dining room, three kitchens, mock hotel setups such as a front office, hotel room, and a deli all placed within the campus. Another reason for choosing Sunway University College is that the college has ties with many other universities overseas giving us a wide range of institutions to choose from when looking to further our studies. 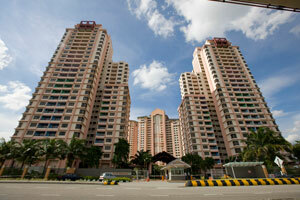 I have no regrets coming here and am happy to have made the right choice with Sunway. Sunway University College is one of the best I have been to. Teachers are friendly here. I have met so many Malaysian and international students. The staff is also very friendly and helpful. Living in the on-campus hostels is the best choice because it is very safe and clean. I would recommend Sunway to all my friends in China. I would recommend SunwayCollege for four main reasons. Firstly they offer world-class degrees from various countries with various majors providing many choices for our future career. Secondly, this is convenient place to study due to the hostels, library, cafeteria and food courts nearby. Thirdly, you can enjoy participating in various sports, clubs and societies. And lastly, people here are friendly and helpful. I enjoy studying here because the lecturers are good to me especially since they know I am an international student. They always ask me if I am OK and try to find out if I understand the courses. If not, they would always offer to give me extra guidance or explain the lessons again. This has helped me improve my studies. Our course provides a lot of training in practical classes, workshops and supervised working experience. "CMP is a very good programme to be in because it is recognised internationally." From my experience, I find that life in Malaysia has made me feel at home. It has given me a sense of belonging. The local people are quite friendly and helpful. The food is good since there is a wide variety of dishes available from different cultures. I guess I can say that the culture here is very rich, colourful and exotic. College life in Sunway is quite an interesting experience. Living on your own in the hostel teaches one to be more independent, more responsible and you also learn to manage your time well. Getting to meet and mingle with the international students is interesting and fun since you get to learn about other different cultures. CMP is a very good programme to be in because it is recognised internationally. It offers a wide variety of subjects. 100% of your end of the term grade does not depend on the exams. CMP requires a lot of hard work. However, it depends on the individual to work to the best of their ability and put in as much effort as he can. Life is not a bed of roses, so in order to succeed and become a somebody, one must work hard in order to enjoy the fruits of his hard work. So far, I am enjoying this program and do not regret joining it. I was thinking that I would study in London, where my brother is. But my best friends were already in Malaysia, studying at Sunway College, and they advised me to come here too because they found there were many good things here. They said that this was the perfect place to study because of the choice of courses, and also they found the academic staff knowledgeable, professional and helpful. In addition, they said that there was good accommodation available and that the course fees were reasonable. After all that, I was persuaded to choose Malaysia and Sunway College, and it is one decision that I don’t think that I will ever regret. The moment I stepped into Sunway College, I could feel that a new life had just begun. Sunway is such a happening place. I came here feeling very young and very awkward - I was a mere boy - but now I am a man - a person who is capable of standing on his own two feet! The staff at the Student Services Centre have been just great; they are like family members. At Sunway, I find myself surrounded by happy people, and this just makes me happy too. “Studying at Sunway has made my chances of studying abroad more easy. I get to complete my degree here, and that degree is from Greenwich University. Learning is a dynamic process of accomplishment and exploration that lasts a lifetime. However, what creates a successful individual is not the institution or a university, but rather the aspiration, ambition and energy that dwells within the individual. Individuals have to motivate and push themselves in order to achieve success. But universities with good and reliable facilities and a professional staff can help to motivate individuals to aspire and achieve success. I urge you to come and see for yourself the real thing at my university. Sunway University College offers a high standard of teaching, excellent facilities and a conducive environment especially for international students. All my lecturers and classmates are great, so I would happily recommend to anyone from all over the world to come to Sunway University College to explore the great experience. I heard about SunwayCollege’s reputation from a friend who had graduated. I heard about the excellent facilities and that I would not be disappointed if I decided to join SunwayCollege. In my program I have 15 choices of subjects to study and I find the quality of lecturers to be very high. The college is also very stable, academically and financially. In addition the sight of the college and its surroundings are fantastic.